Synopsis: Heartbroken, hungry, and a little bit drunk, Cassandra soon realizes that just when you think things can’t get any worse, sometimes they can get very strange…like finding a skeleton in the basement of your newly inherited cottage. But when that skeleton suddenly becomes a hot, romantic, and business savvy vampire named Varo…sometimes things can get better. That is…until his infamous older brother shows up, and their centuries old sibling rivalry threatens her chance at true love. 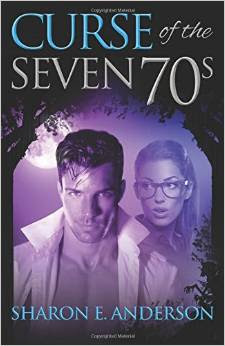 Can their love survive her conniving ex-fiancé, his vengeful brother, and the Curse of the Seven 70s? Review: Excellent book. Easy to settle into and hard to stop reading. Really enjoyed reading this book and I would highly recommend it. This is good for both young and old. An excellent romance story that will make the reader fall head over heels with the book. This book mixes the paranormal with romance. I love this review! thank you Margaret!